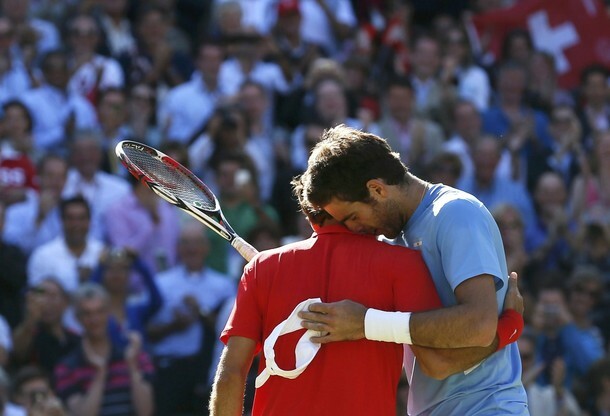 Roger Federer seriously doubts that Juan Martin del Potro will try to change to a one-handed backhand. The right-handed Argentine has been out for months after multiple surgeries on his left wrist. The 2009 U.S. Open champion hits one-handed slice backhands, but has always hit regular backhands with two hands. "He definitely could, but is it a goal to be ranked 80 in the world?" 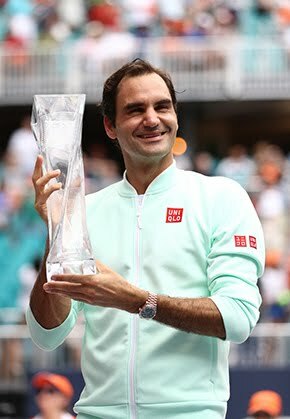 Federer said. "Not really. I think if you want Juan Martin back, you want him back at the very top where he belongs. It's been rough to see him go under the knife so many times now, not be around really. I've always enjoyed the matches against him. He's one of the best ball strikers we've ever had in the game." The Argentine has played just two tournaments this year, in Sydney and Miami, and only played four tournaments in 2014. He's currently ranked No. 580. 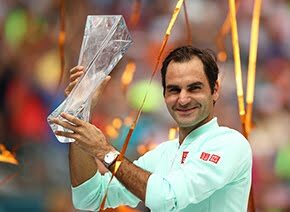 "So I wish him a speedy recovery and a return with a double-handed backhand," Federer added. "It's like if you asked me to play double-handed, it's not really going to work, you know what I mean?"